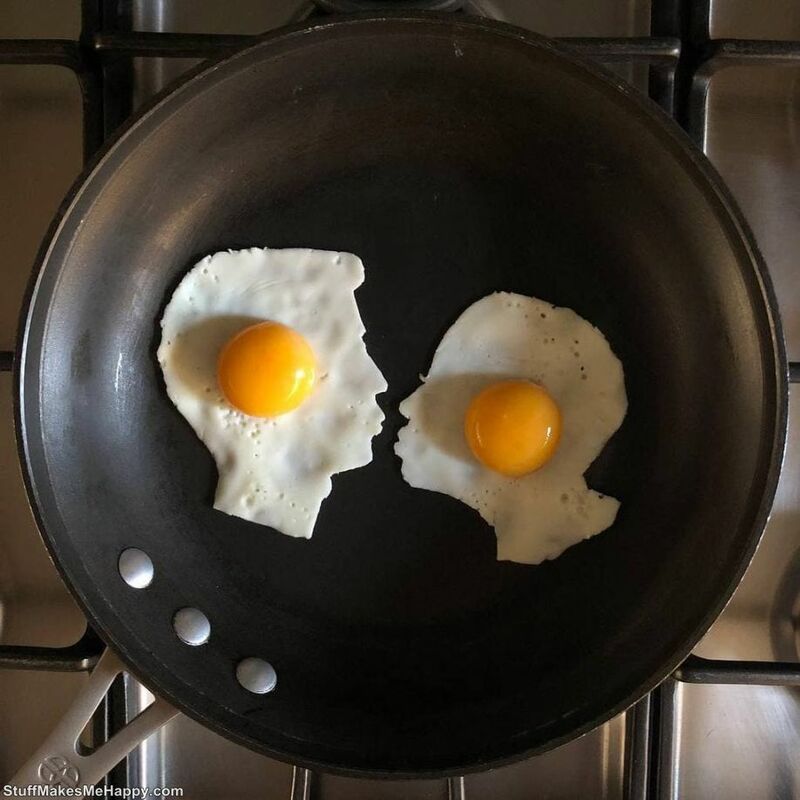 The artist working under the name “the_eggshibit” from Mexico embodies his creative ideas in a very unusual way. 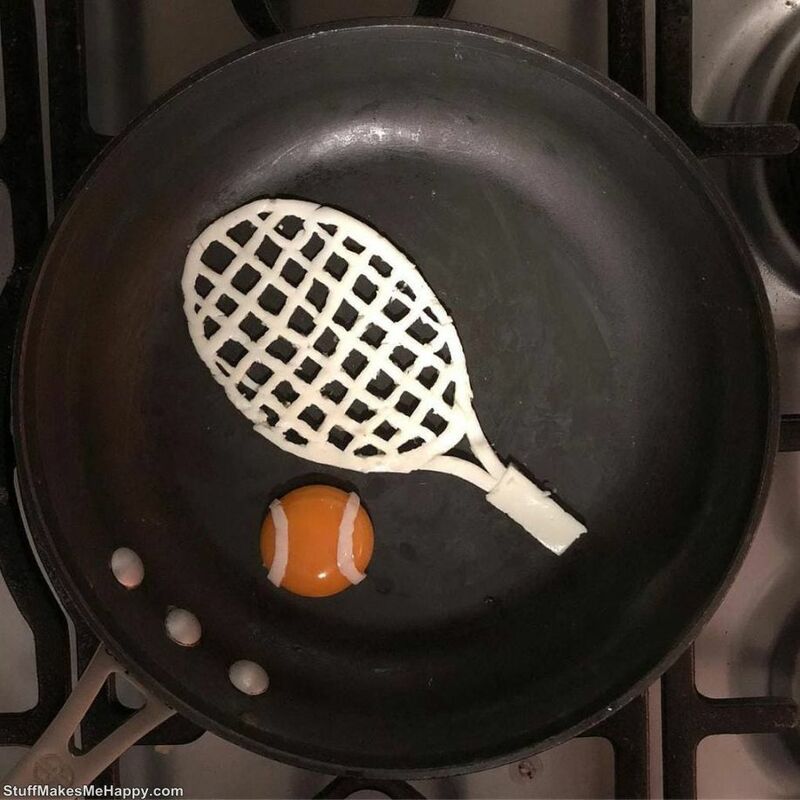 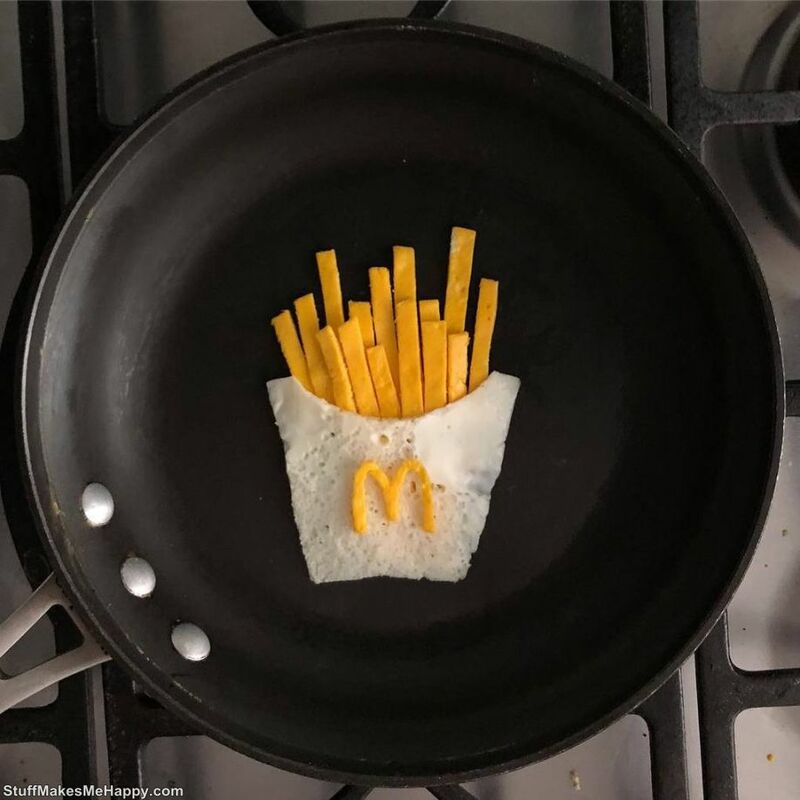 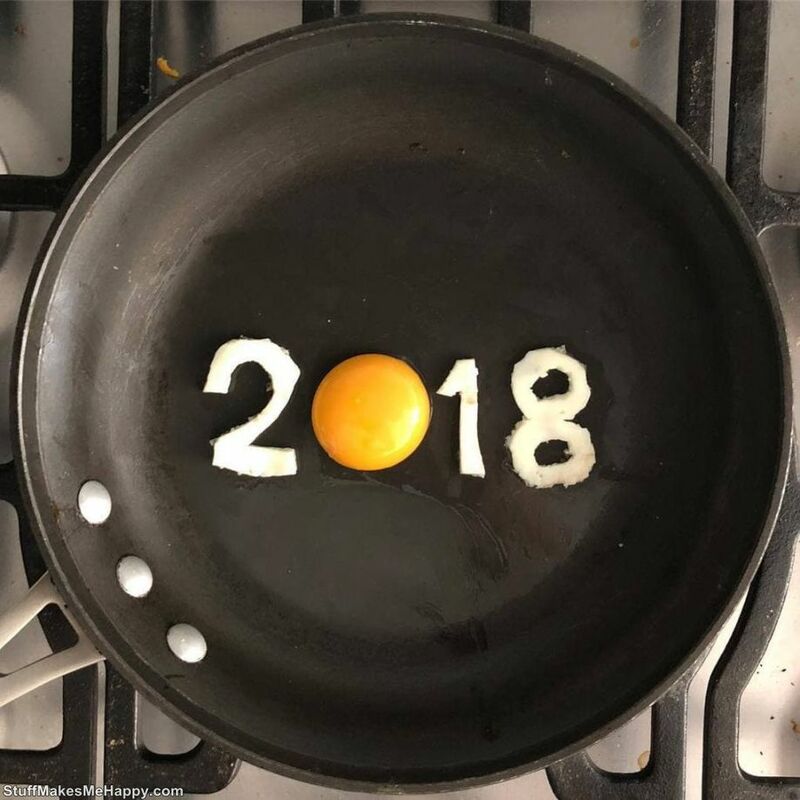 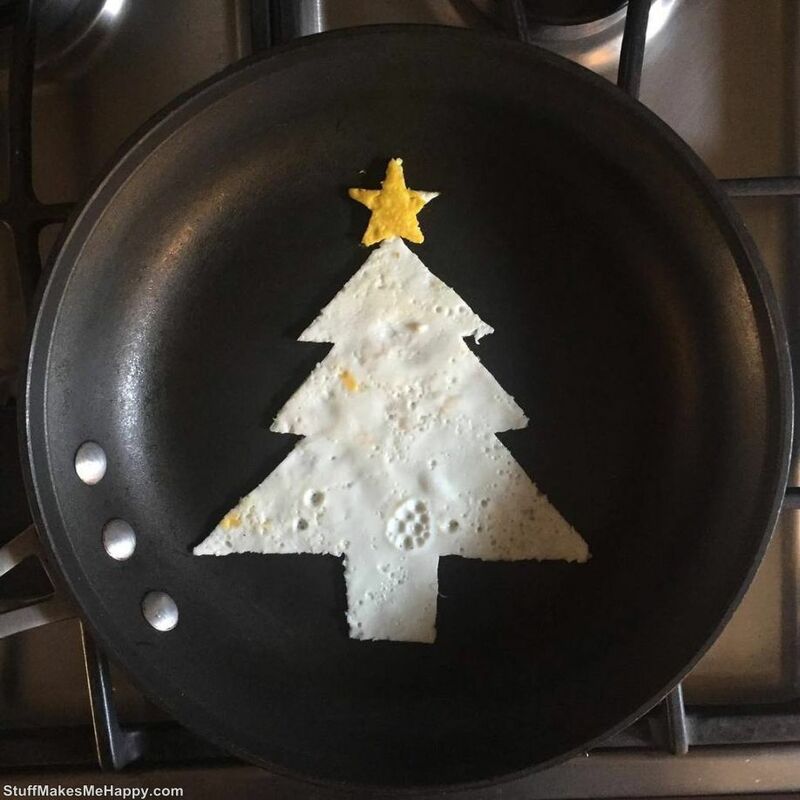 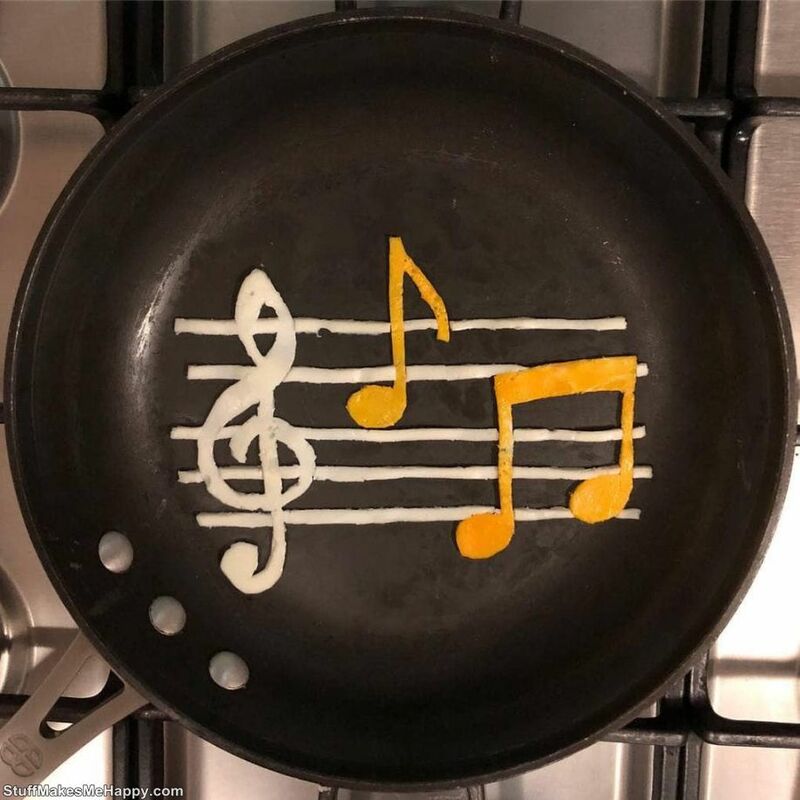 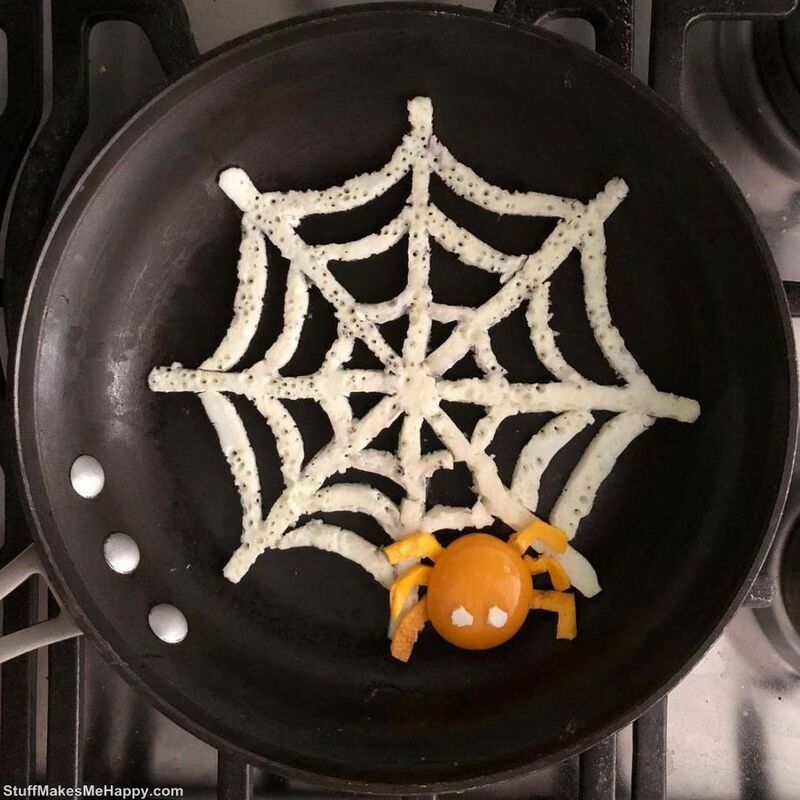 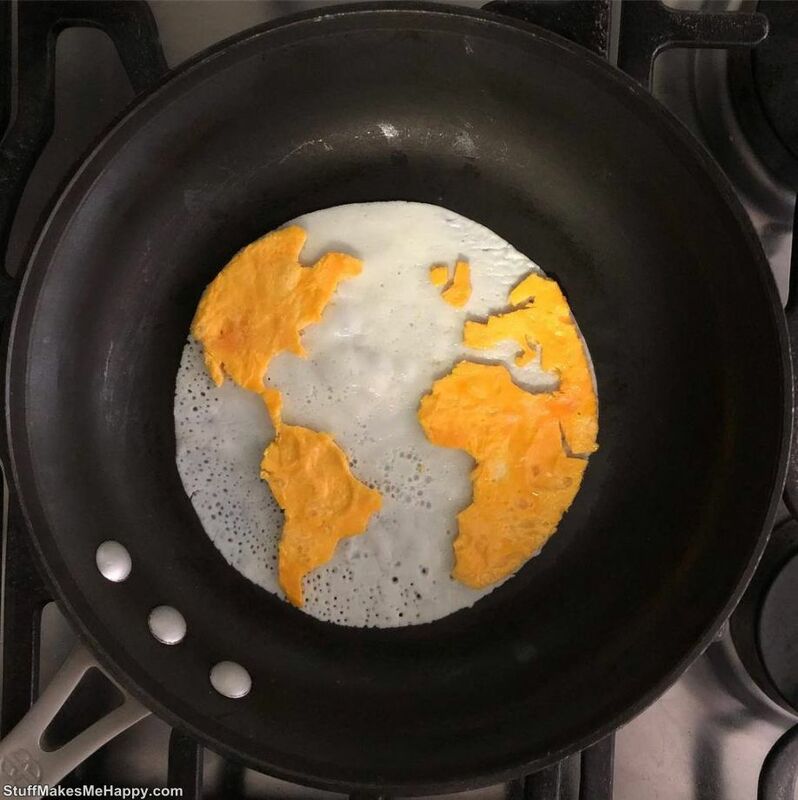 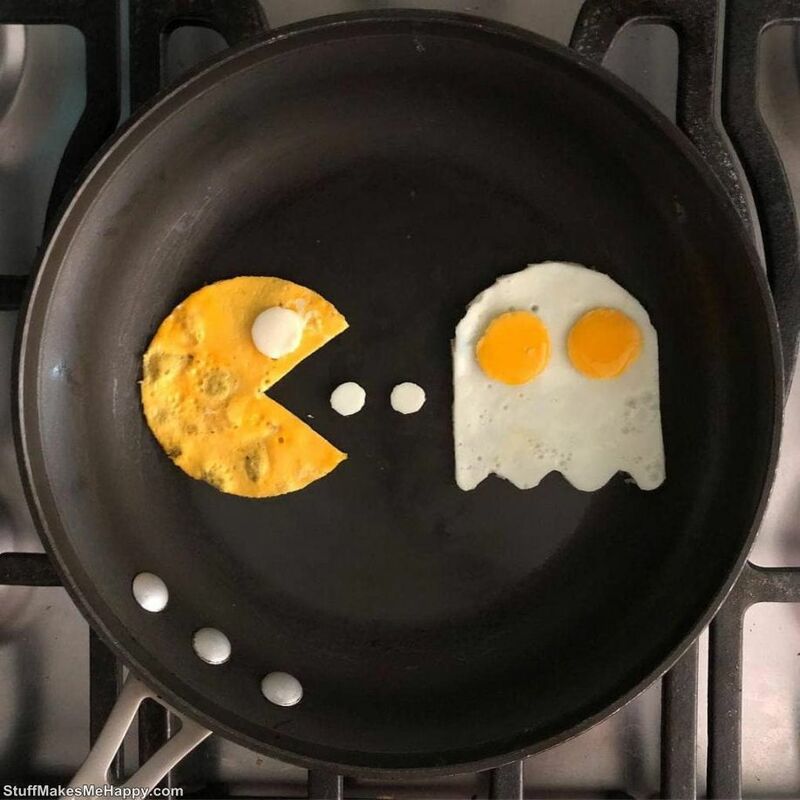 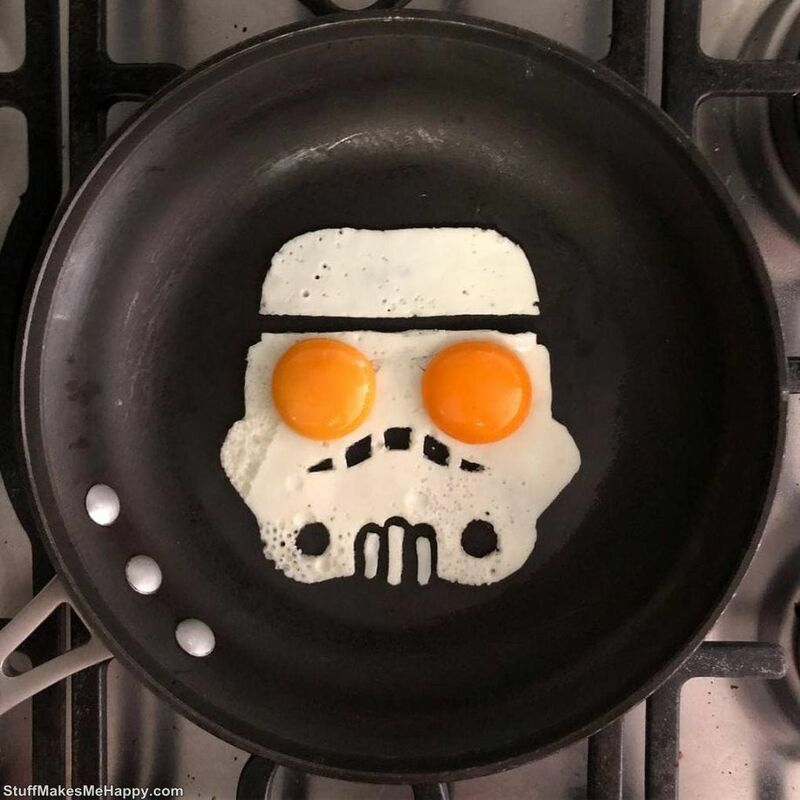 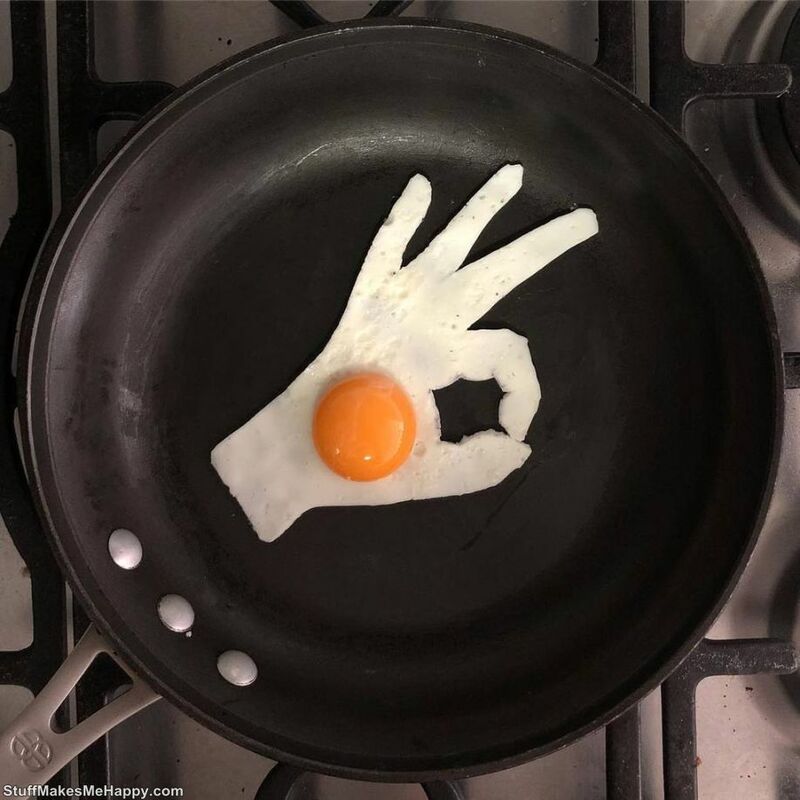 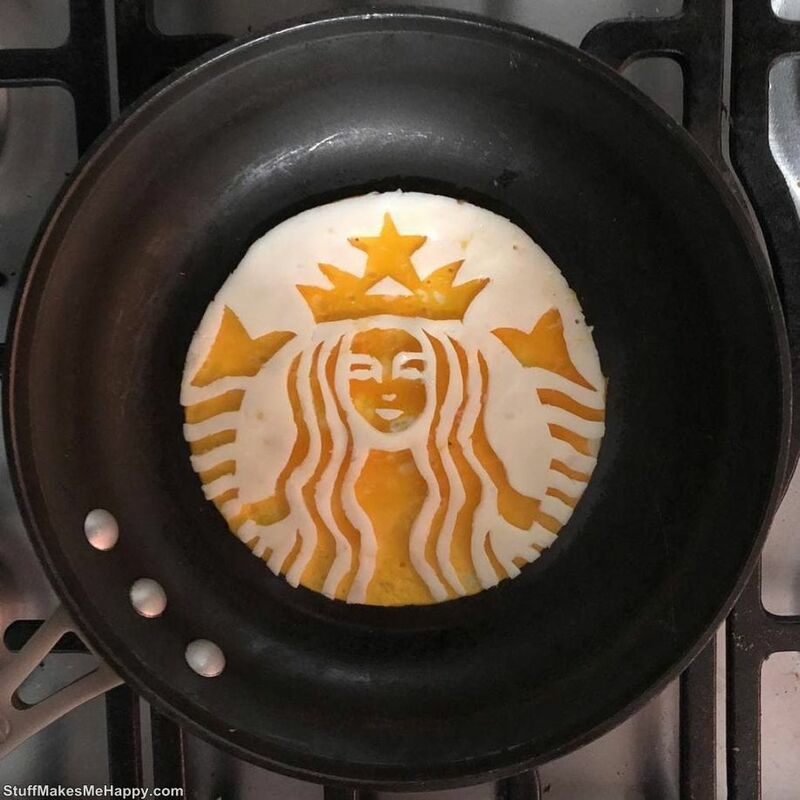 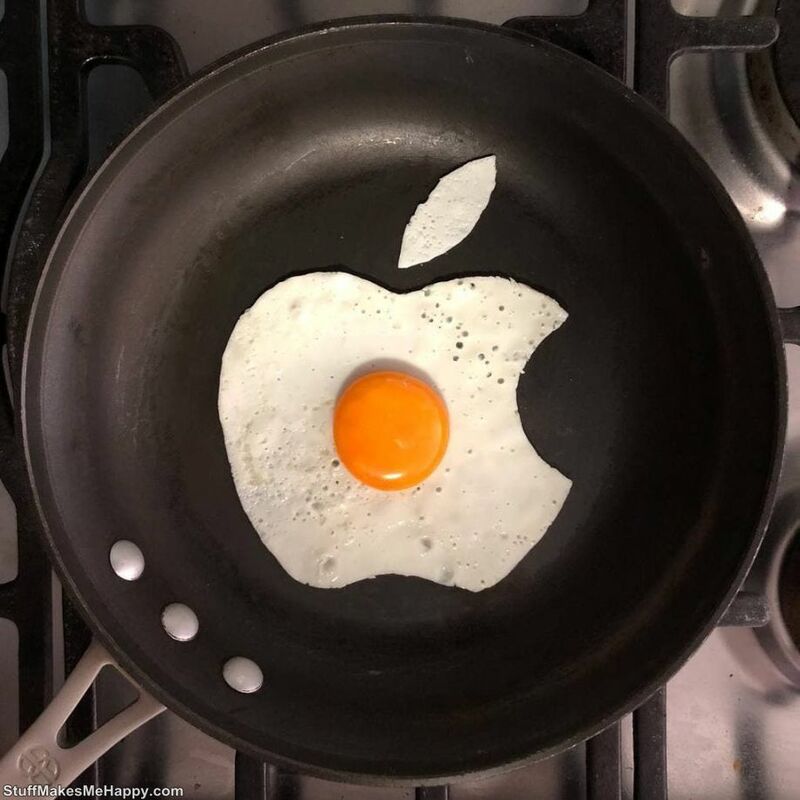 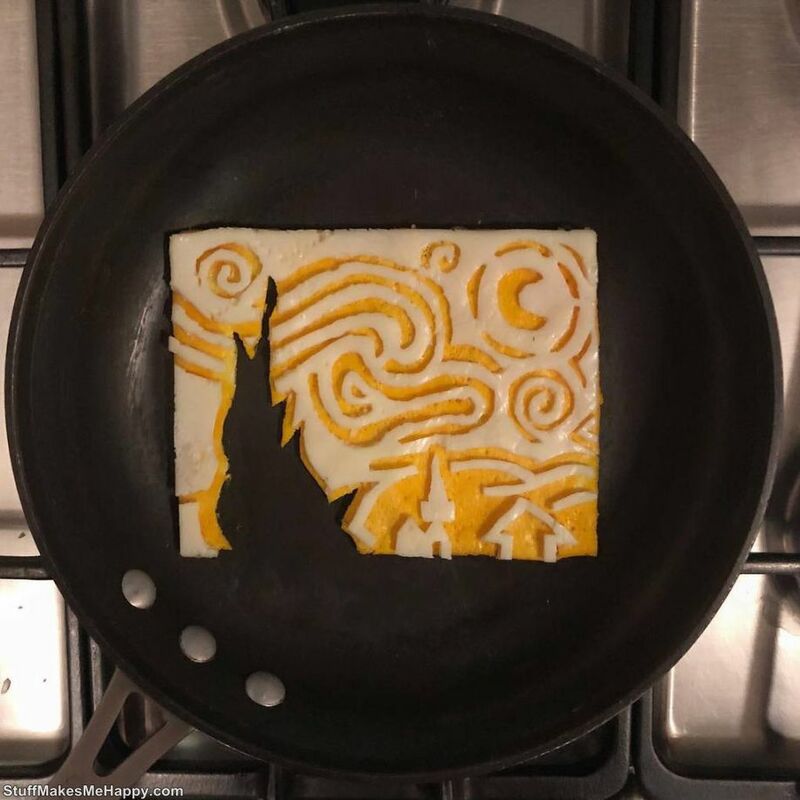 He prepares scrambled eggs, turning them into unusual landscapes, pictures of famous artists, funny characters, smileys and even logos of famous brands. 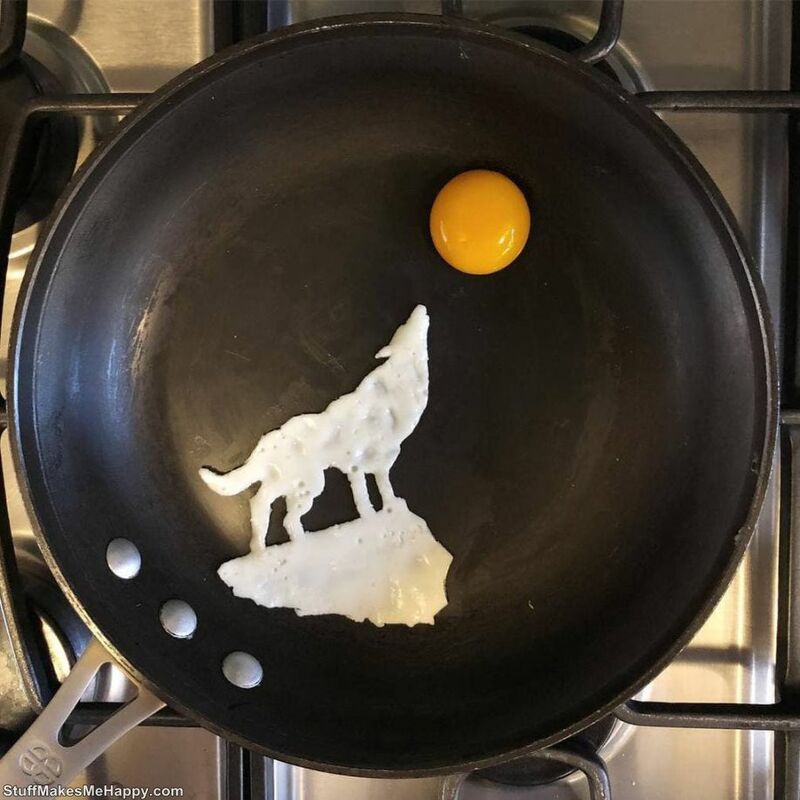 After completing his spectacular pan art-work he takes pictures and uploads on the Instagram account. 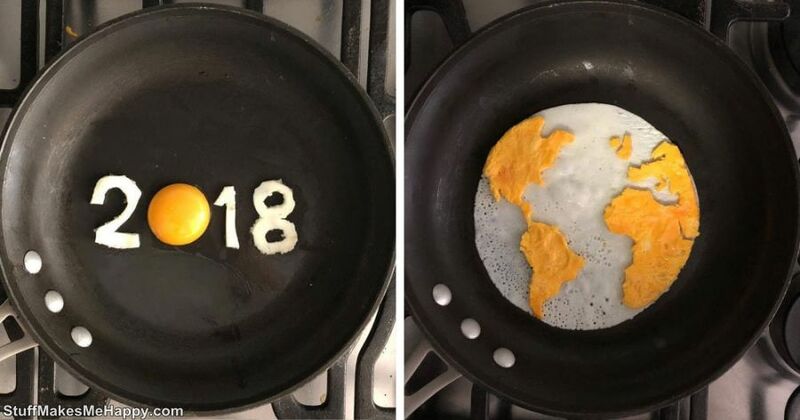 We suggest you see what he did.